Bubble Shooter game for Windows mobile is a bit hit. 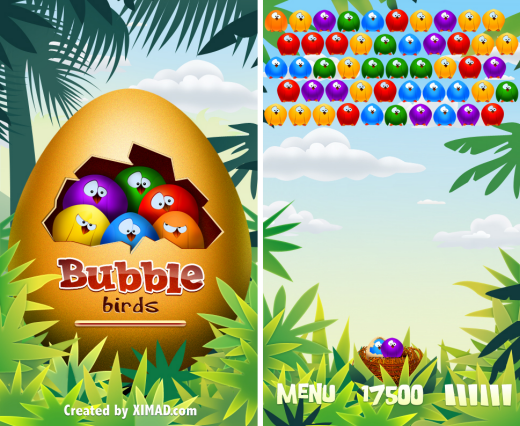 Bubble Birds for windows phone 7 is the coolest interpretation of the classic "Bubble Shooter" game. Pop batches of funny looking birds by tossing other birds at them and matching sets of three or more birds of the same color. Moreover, you can track your high scores in the scoreboard. It is so addictive you can play for hours. Download the game for FREE by searching for it in Marketplace on your mobile or via zune HERE.